Born and raised in Copenhagen, Denmark, Soren came to Canada at the age of 24 intending to stay only one year but quickly grew to love North America where he entered the world of academia and remained living for the rest of his life. With a passion for economics, Soren obtained a Master’s Degree from UBC and a PhD from the University of Minnesota. Academics and teaching led Soren to many different cities both in Canada and the USA. Over his lifetime, he touched the lives of many students. 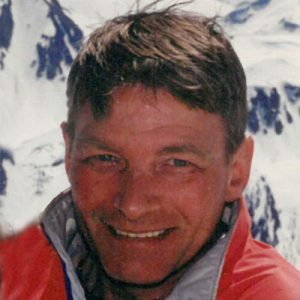 Soren loved the outdoors and spent many happy hours running, skiing, hiking, biking and playing golf. His claim to fame was as a ski jumper in Denmark. Soren met his life companion, Patsy, at Whistler through mutual friends. They shared a love of the outdoors and especially skiing. Soren and Patsy lived their first years together in Calgary where their son, Peter, was born. Wonderful times were had in the mountains, skiing in the winter and hiking in the summer. A teaching opportunity at SFU led to the move from Calgary to North Vancouver. Soren and Patsy spent the next 25 years making good friends, continuing to ski and passing down their love of outdoor activities to their son. The last move was made to Kelowna on retirement. Soren loved a good debate with anyone who could challenge his views. He especially looked forward to and rarely missed Thursday beer night with his good friends for discussions on economics, politics and global warming. Soren leaves his wife, Patsy and son Peter (Sarah), to mourn the loss of a wonderful husband and father. He will be dearly missed. There will be a celebration of Soren’s life in Vancouver, date to be determined. The service for LEMCHE, Soren Qvistgaard is scheduled for There will be a celebration of Soren’s life in Vancouver, date to be determined.. Below you will find the map for the service location and the contact information should you have any questions.